So it has finally sunk in that I am moving to Hawaii… As your are reading this I am probably flying to San Francisco or from there to Hawaii! Packing for eight months in one big suitcase and one carry on is mortifying. Thank god I had my friend there for moral support and to help me actually get things from my floor into the suitcases! Hi Savour the Senses reader! Happy New Year! I was honored when Jenny asked me to do a guest post and I am thrilled to kick off the 2012 with you. When Jenny asked me to share a recipe, this was the first recipe that came to mind. I don’t know about you but I know I am trying to eat healthier in the new year. 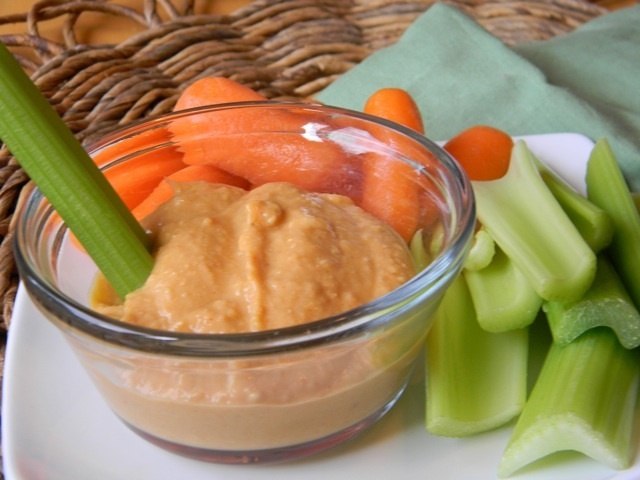 My Buffalo Wing Hummus is a great dip to keep in the house to cure your junk food cravings and it’s also a great dip to bring to parties. And not only is it delicious and healthy, it’s also super easy to whip together and the only item you will need to clean afterwards is your food processor. I love that! Enjoy with baby carrots and celery. 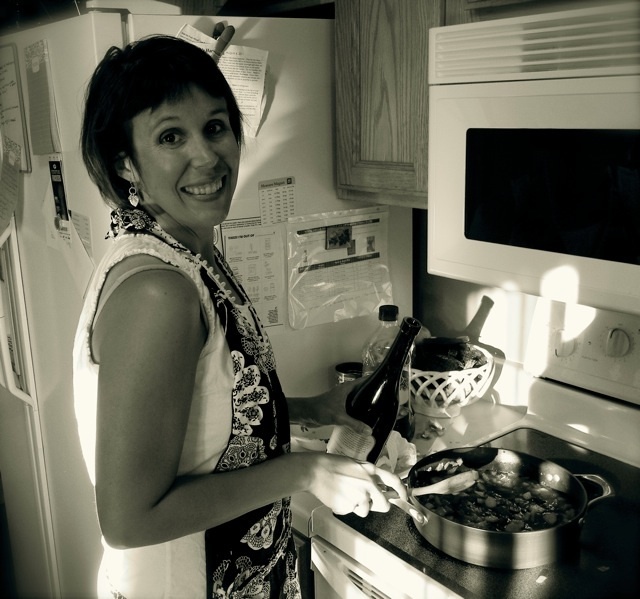 Come visit me at Badger Girl Learns to Cook to find more healthy and easy recipes. Thanks so much Kimberly! I can personally vouch for this recipe that is is DELICIOUS and SO EASY! If you or somebody you know would like to be a part of Featured Foodie Friday please e-mail me at savourthesenses (at) gmail (dot) com and we can get you scheduled! This looks so cool! 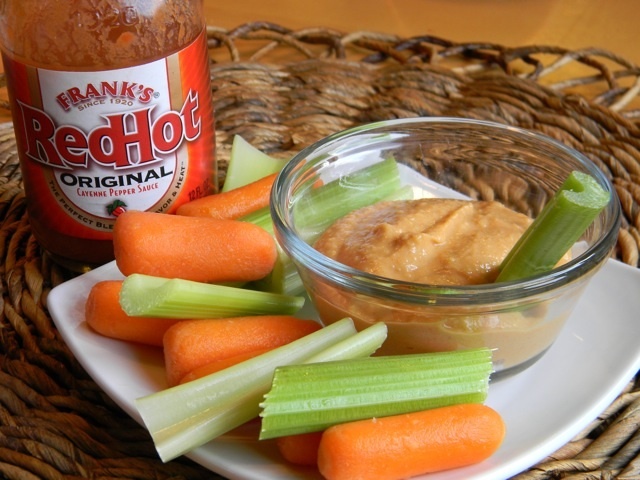 I love hummus, and I love sriracha, so I bet I’d die for this concoction! 🙂 Great guest post. Great recipe – I need to make this to keep me away from mayonaise and ketchup. Great post. I had buffalo hummus the other day but it wasn’t homemade. I bet this is even better! Oh man this sounds amazing! And perfect for me since I tend to go toward the unhealthy snacks on the weekend. Plus the boyfriend will definitely approve! Trying this out tomorrow! yum! I tried a similar version of this at a restaurant recently and loved it. They sprinkled in a little blue cheese too. Thanks for the recipe! Wow—First of all, I love this recipe and all things hummusie! Great job, Kimberly. Secondly, Jenny, I though you were just vacationing. You are moving to Hawaii. Heck yeah, there better be some posts from the beach. I am envious!!!!! I think there could be worse places to move other than Hawaii!! Your buffalo hummus looks wonderful. What a great recipe Kimberly! I’m headed to check out your other recipes! Jenny, I’m so envious of your move to Hawaii! Can I tag along? 🙂 I hope you have safe travels and a wonderful eight months! I’ll have to give this recipe a try. It looks wonderful! Thanks for sharing! I like this and I totally understand changing the name of the dish to fit the crowd.